ROAD TOWN, Tortola, VI - Irvine Fletcher Scatliffe, well-known local resident and former talk show host has cleared the air on his five-month stay at the Multi-Purpose Sports Complex at the time being used as a shelter following the 2017 Hurricanes of Irma and Maria. Misinformation spread over the past months about his stay there and his alleged refusal to leave the building despite requests from the Government. Mr Scatliffe said his experience there was "a good one" as he was able to see firsthand "other cultures and how they live and behave". 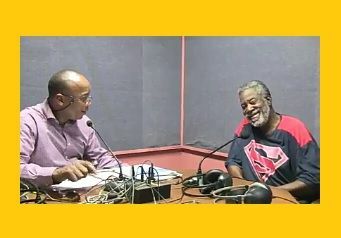 He was at the time speaking on the radio programme Honestly Speaking aired on ZBVI 780 AM on Tuesday, April 10, 2018, hosted by former Managing Director of BVI Port Authority (BVIPA) and social commentator, Claude O. Skelton-Cline. Despite the rumours as to why he was at the Road Town Multi-Purpose Sports Complex, Mr Scatliffe told the host that his role there was as the Assistant Shelter Manager and he had to remain at the sports complex "to make sure there was order". He said, "I was there because I had to be there and because the new manager could not be there at nights -she had books to mark- I was placed in that position having to be there." Mr Scatliffe said the public needed to be more helpful and positive to people who find themselves in the shelter as “none of them wanted to be there, everybody wanted to have their own privacy, and could not wait to leave". He lambasted Premier and Minister of Finance, Dr The Honourable D. Orlando Smith (AL) for saying information about the bill [Virgin Islands Recovery and Development Agency Act 2018] was "confidential”. He said passionately, "Dr Smith did the same thing over BVI Airways, and that is not right. The public has a right to know." Mr Scatliffe said, “An uninformed community is an ignorant community” while adding that when you hide information from the community "something is wrong". Responding to a question posed by Mr Skelton-Cline, Mr Scatliffe stated that he supports a Freedom of Information Act and a Consumer Protection Bill. Where is the consumer protection bill? In addition, Mr Scatliffe said from the time he was an infant the people have been "crying for a Consumer Protection Bill", and the people who we elect refused to put it in place but warned even if the Bill is passed "these fellows will still refuse to give us information". Mr Skelton-Cline stated he will be a voice for the people and he will air on the side of the people, and he is "not protecting any banks, any insurance companies, or any government this one or the other". I live in a 4 bathroom palace. Well good for you. What arrangance. You should be shame of your self. You know how much it costs tax payers to have you and the others there. You got away with it because you are big bad Fletcher from Road Town. If it was country, east or west end folks were doing that B.s they would have been arrested, charge and be forcefully remove long time . You all playing games with this country but people are really hurting. I bet you if some disease had outbreak every last one of you all who stayed there would have found some place to go. Fletcher not telling the truth. He was not there to oversee nothing. Fletcher just ignorant and out of place. Fletcher had bad motives for being there. He was no assistant shelter manager. He was there because he wanted to eventually go on radio. He was not in need of shelter as he correctly said that his house only sustained minor damage and is has 4 bedrooms each with it's own bathroom. He is nothing but a confusionist who in very stubborn. He had no interest in the others who were there but now that he is in the spotlight he wants to give you the impression that he was so caring.BS. Pls sir make sure you volunteer once again for the upcoming season.People will talk as i too was wondering why you wish to stay there but some people dont know the importance and the role as such.As a man it is more fitting for you than a woman unless she is housed there.i volunteered but only visited early mornings or late afternoons.it aint easy it can be very stressful at times. The more people in a centre the more worriation less people less stress. May God see us thru this next season. May you continue to assist where possible and God bless you. Exactly. If so cared and wanted to help he could have extended a stay to those who he thought was fit to stay at his house. Wow Wow Wow, just reading your post hurts my brain to the point where my head started pulsing. By the time I hit the 5th or 6th line I could not take it any more and stopped reading. Tell them, Fletcher. They cannot beat you...some of them jealous because you have a big house, but as you say, it was a good experience for you to be at the shelter among the others...if it was good enough for them, why shouldn't it be good enough for you? now that the people are out will they fix the place? Fletch, now that you are out you're trying to look good. You know you held no post of any kind! Please stop misleading people. I beg and plead with you - don't bring anymore shame on yourself and family! You are going to force the hands of those who know the truth to bring your story out in the open. You have started the ball rolling. Can we play ball in there now? We were moved from the area in 2002 and told we would get a gym then we were never allowed to use it. 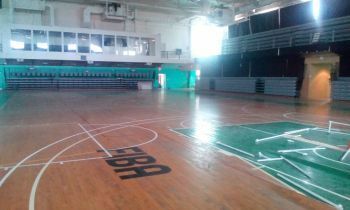 It's been 16yrs now can we finally get to use it for basketball as was promised to us? Concrete courts are bad for our bones and health we need a wood floor. Have a heart.